Nicolas Chorier is a professional photographer, specialised, for the last 15 years, in Kite Aerial Photography, the only real eco-friendly aerial photography. A few square feet of fabric, a touch of technical know-how, a whiff of breeze, and lo, there is birdy on the remote. These photographs challenge one’s sense of orientation and perspective, play with textures and graphics, and provide a close view of the world from an unusual angle. 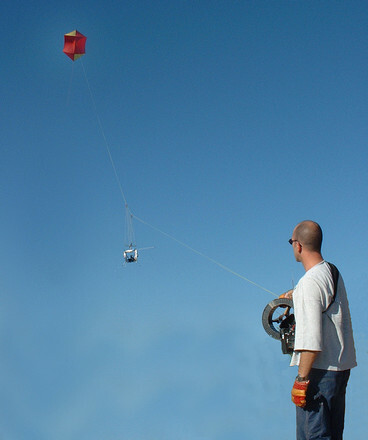 Specially designed for, his kites lift professional still cameras, or HD video cameras, depending on the application. The camera is mounted on a small craddle, hanged on the line under the kite. The craddle is fully radio-remoted, can be aiming in all directions. A video link air-to-ground sends a signal which provides real-time monitoring on a portable TV screen, for an accurate framing. Easy to set, non-polluting, non-intrusive, it’s possible to remain stationnary over a site for a few hours, thus offering the guarantee of a successfull high-quality job. The camera can be lifted up to 250 meters, even though low altitudes are often more interesting. It all fits in a couple of regular cases, and can be operational in 10 minutes time. In addition we recommend the excellent book “Kite Eye View India: Between Earth and Sky” by Nicolas Chorier prefaced by Zubin Mehta, the famous Indian conductor born in Bombay in 1936. He was granted permission very rarely to photograph India from the sky. He installed his camera on a kite, a technique he had already practiced in various fields such as agronomic research, archeology or tourism. This book brings together the best images of the photographer seen from his kite: the Taj Mahal, the shores of Kerala, the Fatpur Sikri, the temples of Kadjurako, palaces of Rajasthan, elephants bathing in the Periyar River … accompany his photographs, Nicolas Chorier tells his odyssey, his way of photographing, his experiences. Halfway between earth and sky, her photographs bear a poetic, intimate and original look on this eternal India often photographed but, here revisited with a completely new look. An unexpected trip with the winds at about 100 meters above the ground.